Benedict Evans says mobile is eating the world, and I am inclined to believe him. 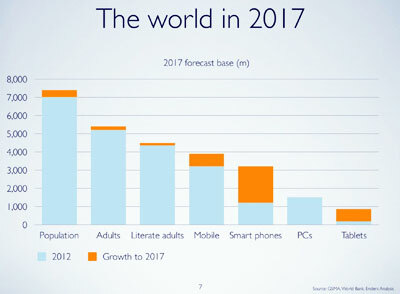 Slide 7 (above) highlights remarkable smartphone growth juxtaposed against PC flatline. The news has been all TWTR all the time this week, with a few well-timed research reports and a Storify integration adding to the IPO hype. Yesterday, Twitter users Patrick Stewart, a 9-year-old girl who sold lemonade to end child slavery, and a representative from the Boston Police Department all took the podium to ring the opening bell. Perhaps overpriced at the end of the day, the media mood couldn’t have been more different from that of the Facebook IPO back in May 2012. “I need help with …” pre-fills the search box on the public launch of Google Helpouts. The service provides free and paid real-time video assistance if you’re trying to master anything from Caribbean cooking to Adobe InDesign. As video consumption surges across myriad handheld and tablet screens, the time may be right for how-to videos. I was late to the party on The Skimm, and started reading it only this summer. Warning: once you’re addicted to the 5:59 am snappy daily email of what’s going on in the world, it’s hard to stop. This week The Skimm received $1M in funding to grow their user base. More on the funding front: Newsle, the service that alerts you when your friends make the headlines, closed 1.8M in a Series A. Founded by two Harvard undergrads, the service personalizes the news for you by serving up headlines for your address book and social media contacts. Weekend fun: I bet you were wondering if you could watch two Harvard professors sing the names of all the Chinese dynasties to the tune of Frère Jaques. Well, sure you can. 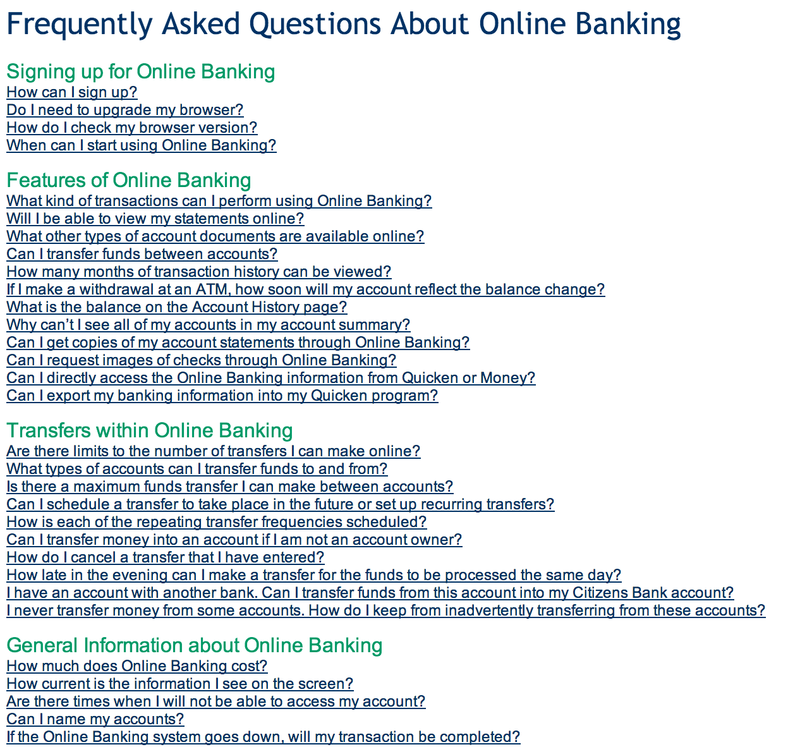 It’s not online banking — it’s banking!